The news is filled with reminders that 70 years ago today, the tide turned on the beaches of Normandy, France, when the United States led Allied Forces in an offensive that changed the course of World War II, leading to victory on the European front, or V-E Day, on May 8, 1945. 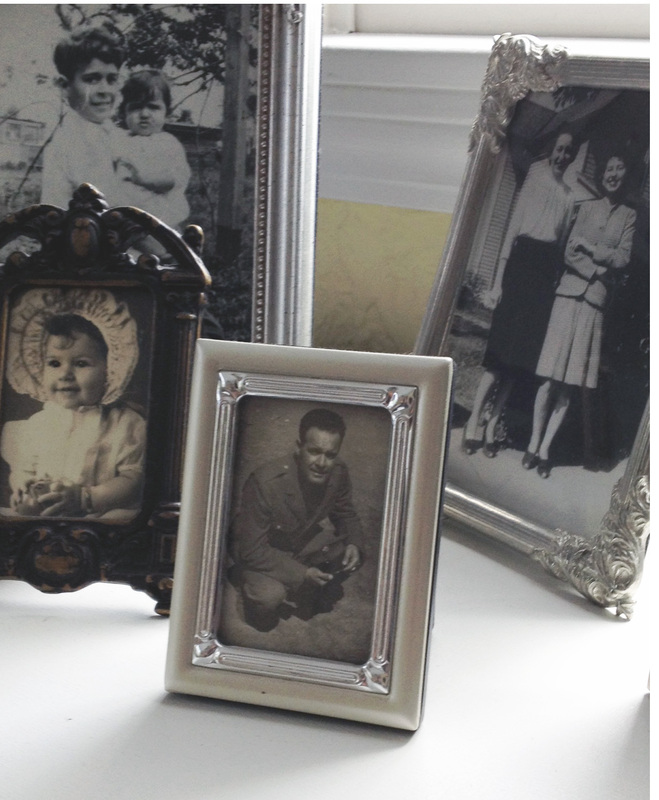 My father served in that war, although he was stationed with the U.S. Army in the Persian Gulf. And while his brother served with the Army in the war’s European theater, I’m not sure if my Uncle Norman was part of the charge on D-Day. As I think about this historic anniversary, I’m reminded of how difficult it must have been for my grandparents to have two of their three sons in harm’s way. I’m also reminded of something else—something that lies at the heart of civilization: Love. 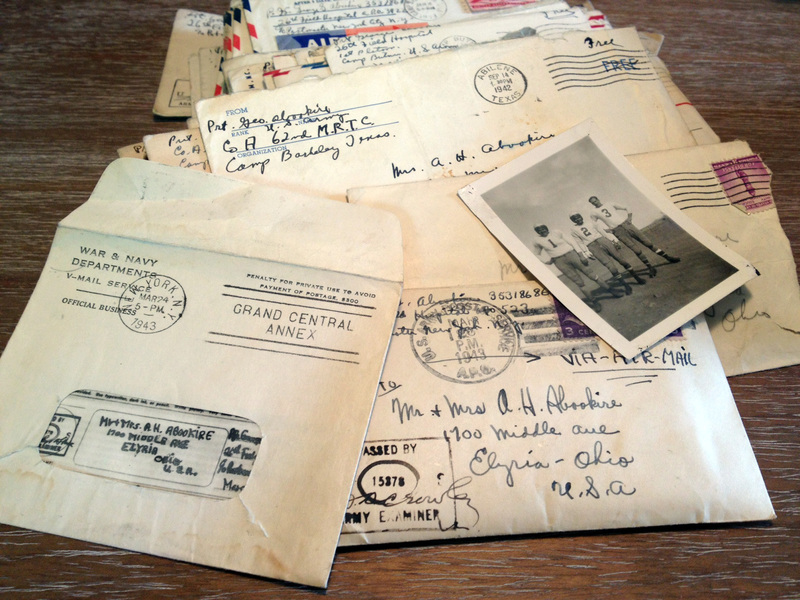 I’ve been reading the letters that my father wrote home during the war, and recently found a trove of other memorabilia. 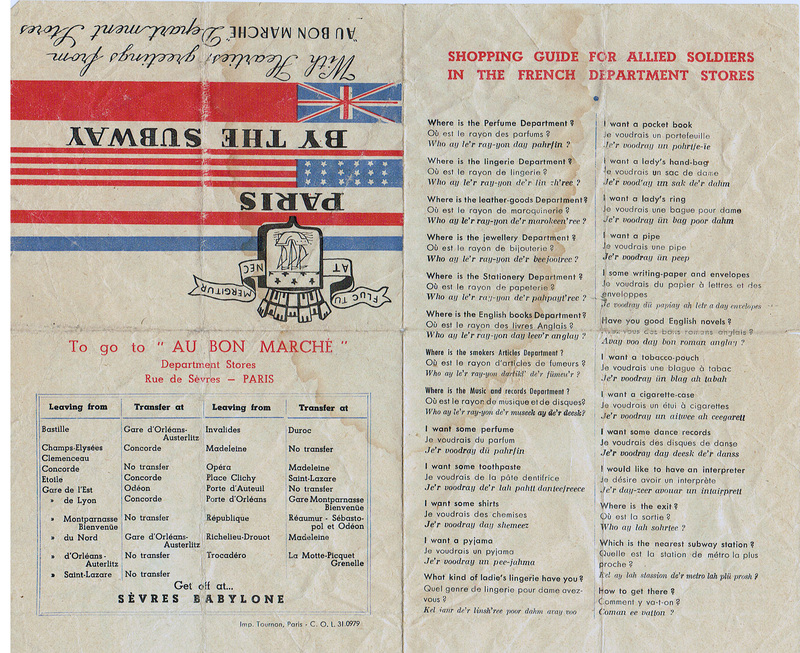 Just this afternoon—on the anniversary of D-Day—I opened a folded brochure that serves as the illustration to this post—a “shopping guide for allied soldiers in the French department stores.” The famed Au Bon Marché (known today as Le Bon Marché) made this guide to the metro available “with heartiest greetings,” as the publication proudly declares. The French, the ne plus ultra of all things civilized and cultured, knew that even far from home, a soldier would have someone to shop for. What kind of ladie’s [sic] lingerie have you? Quel genre de lingerie pour dame avez-vou? Kel janr de’r linsh’ree poor dahm away voo? 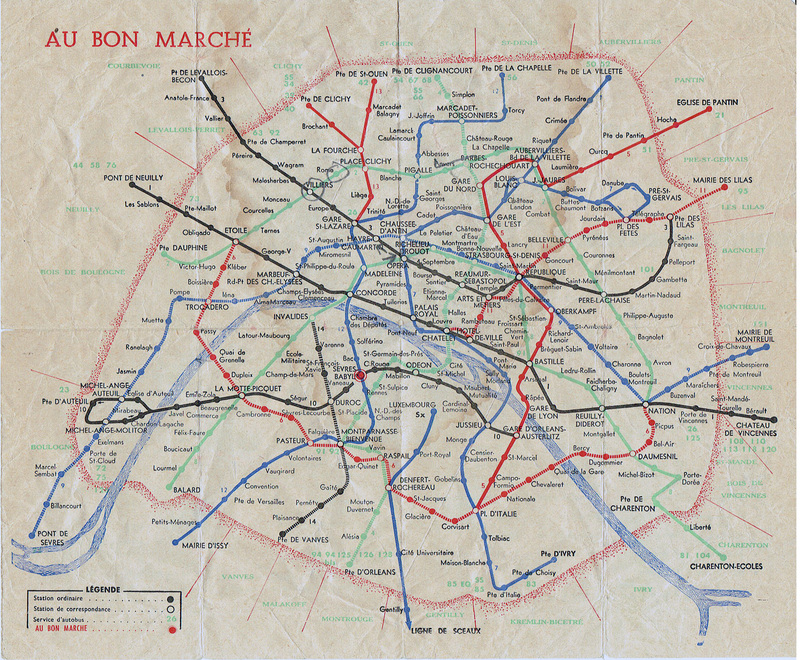 In all seriousness, the French knew that they and their allies were fighting not only for freedom from oppression, tyranny, and injustice—they were fighting for the preservation of the very thing that makes the world go ’round.